The CobraTrak Plus uses the latest GPS / GPRS / GSM vehicle tracking technology, providing pinpoint accuracy. If your vehicle is stolen it can be live tracked throughout UK and Europe. Police liaison is conducted in local language through Cobra’s network of Secure Operating Centres across 36 European countries, Russia and South Africa. All CobraTrak plus systems are Thatcham category 6 accredited - Cobra Tracking systems are insurance approved therefore your premiums can be reduced. 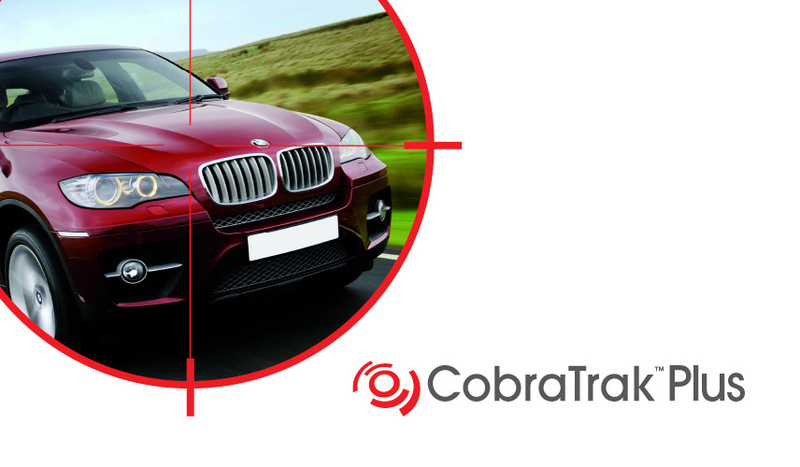 - All Cobra tracking devices carry a comprehensive 3 year warranty which is usually transferable to a replacement vehicle, enhancing the vehicle’s residual value and protecting the owner’s initial investment. Choose the CobraTrak Plus system which detects unauthorised movement of a vehicle when the ignition is switched off (e.g. if the vehicle is towed away). Important: Whilst we endeavour to ensure that all products and services are displayed correctly at time of publication we may like to point out that some product(s) may vary slightly in appearance and specification. All products supplied are genuine and come with manufactures warrantee. Copyright © Select Auto Systems Ltd 2019 . All Rights Reserved. Important: Whilst we endeavour to ensure that all products and services are displayed correctly at time of publication we may like to point out that some product(s) may vary slightly in appearance and specification. All products supplied are genuine and come with manufactures warranty.